Ballistic nylon, nylon, Terylene and polyester bags can easily be cleaned with a soft, damp cloth. For stains we suggest using a Luggage Cleaner or a mixture of equal parts water and isopropyl alcohol. Adhesive lint rollers work great to remove lint, fuzz balls and dust. 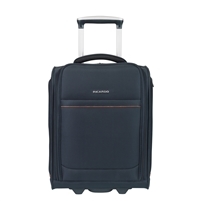 The Ricardo Ricardo San Marcos 16 inch Underseat Rolling Tote in Grey is designed to fit under most seats. 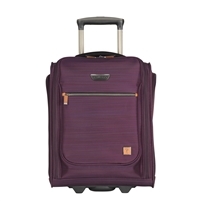 The Ricardo Ricardo San Marcos 16 inch Underseat Rolling Tote in Violet is designed to fit under most seats. 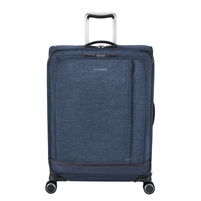 Looking for a specific Ricardo Beverly Hills rolling bag? Please don't hesitate to ask and we will find it for you!